A lady has been accused of causing ripples in the marriage of one Mr. Emmanuel Peters whom is said to be dating her in Sapele, Delta state. It was gathered that the man who is said to be 'head over heels' for his lover - opened a store, rented an apartment and also furnished the house for her and is reportedly about to break up his marriage over the lady. 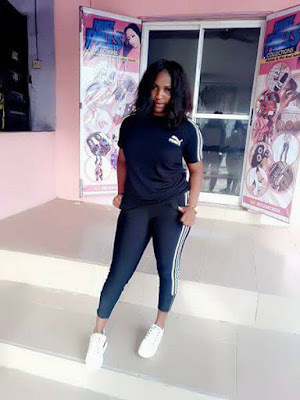 According to journalist Sapele Oghenek who shared the news, the lady has been allegedly bragging about catching a 'mugu' who is taking care of her well and packaging her. It is said that Emmanuel and his wife have not been living well for over a year now due to this lady. Efforts are being made to see how to stop the lady from allegedly destroying another lady's marriage - hence the use of social media.